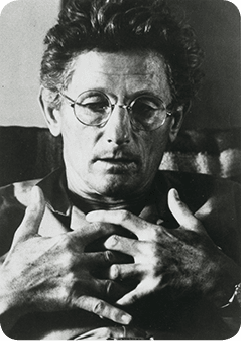 American physician, neuroscientist and psychoanalyst, John C Lilly, originally developed the first float tank in 1954 while he was working at the National Institutes of Mental Health. During this time Dr Lilly, together with his associate Dr Jay Shirley, became intrigued by the question of the origins of conscious activity within the brain, and specifically, he questioned whether the brain needed external stimuli to retain its conscious state. Lilly and his associate set to work trying to devise a system that would restrict environmental stimulation as much as was practical and feasible. His tank design was revised in many ways over the next couple of decades, and by the 1970s, the float tank’s design was much like those in use today. During that time, the tanks designed by Dr Lilly were used mainly by neurologists at university medical faculties, but when the effects of floatation on the human body and mind were beginning to become more clear, scientists in many other fields began to show increasing interest in floatation. In 1983 floating increased in popularity as more became known about its effects. Floatation therapy is scientifically backed by more than 80 published studies to date from the USA and Europe, with ongoing research occurring worldwide. Today, flotation tanks can be found in health spas, fitness centres, professional sport centres, bio-fitness institutes, and are used for “super learning" courses by universities around the world. As floating has grown in popularity, the design of the tanks has also evolved with the newer innovative floatation pods becoming increasingly more popular.